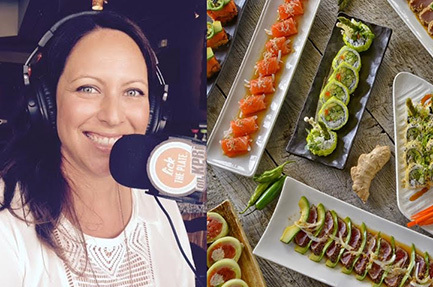 After a fine meal at Sushi Lounge recently and getting to know co-owner Katie Rooney over a radio interview, I got the sense that she loves what she does and there is nothing she would rather be doing. It just shows in her passion for her work and from the enthusiasm of her staff. Hers is a culinary story worth telling so here is a bit about the woman that is part of the team behind Sushi Lounge. You grew up moving around the country a bit as the daughter of a General Motors executive. Were there any areas that stood out to you for the local cuisine? I was born in Georgia and the story is that my first meal was black-eyed peas. I then spent seven years as a child in Oregon and my dad would go fishing in Alaska, bringing back huge crates of Halibut and Salmon. I think I’ve had Salmon in every possible form. My dad has always had an adventurous palate and I remember eating marinated herring, Braunschweiger, calamari and other random foods at a young age. Some of our best times spent together when I was a child revolved around food! My parents also believed in family meals every day so I was able to enjoy the benefits of learning so many family recipes that had been handed down from the generations. What was your first experience in the restaurant/service industry? I started in catering during high school but when I moved away to college in Chico I worked for a Mongolian BBQ place that was very popular. The owner was very hands-on and the servers and chefs all helped to prepare the food daily, using high quality ingredients. I learned a lot about timing and preparation as well as the impact strong leadership can have on a business. They taught me the value of working as a team, having pride in the product you serve, and respect for the culture of the business. That experience really shaped what I looked for in my future endeavors as well as giving me a foundation for the type of leader I wanted to be. When did the sushi thing happen for you, what was your first experience with it? I started working in Sushi in late 2000 when I moved to San Diego from San Francisco. I started managing at Sushi on the Rock in La Jolla and quickly learned that I loved everything about the sushi culture — the food, the people, the fun of it. Sushi embodies all the senses and it is a very social cuisine. I worked there for almost five years, learning all sides of the business, which included opening their second location, starting a catering department, and the human resource side of restaurants. I met my business partner, a sushi chef, while working there as well as many great friends and my husband, too. 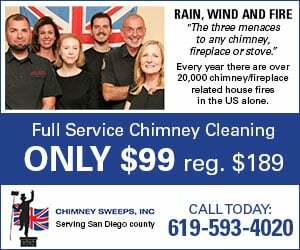 When you decided to open the first Sushi Lounge in Poway, was it more difficult staffing your culinary team than a regular restaurant? I think it was and still is, as we need so many people to help it run smoothly. We basically have two kitchens so it takes a lot of work to make each item. At the time when we opened in Poway, sushi was just starting to really take off. Before that people still thought it was a trend that was going to die off. We had a hard time finding the right people because everyone wanted to add a sushi bar to their concept and the market was overly saturated. Now we have become better at building in-house talent and finding the right people. We sampled some amazing rolls, sashimi and sushi; can you describe what you brought out for us? We pride ourselves on the quality of our fish and all the sauces we make to complement the dishes. The Tsunami roll features Cajun shrimp and Cajun albacore with warm garlic Serrano chili cilantro ponzu sauce. The citrus chili yellowtail sashimi has thin slices of lemon, Serrano pepper, cilantro and a yuzu soy sauce. We have a Gluten Free menu that offers many of our most popular items. The protein roll has no rice with lump crab, salmon, yellowtail and avocado with soy paper. The Double Crunch Roll is our vegetarian version of a Crunchy roll with Tempura Asparagus and cream cheese with a sweet soy glaze. The final item is our current Roll of the Month-the Roll of Honor-a roll with lobster salad, tempura asparagus, salmon, yellowtail and a lemon truffle sauce. For folks that have not been to your Encinitas location, what other items from the menu would you suggest? I recommend sitting at the bar and allowing the chefs to walk you through any one of our daily specials. If the sushi bar intimidates you then allow our servers to help you find exactly what you’re craving. My current favorite item-The Sashimi Q Wrap roll-spicy tuna, crab, avocado, yellowtail and salmon, wrapped in cucumber with light ponzu dressing. You are known for giving back, tell me about those programs. We are very active in our community, whether through supporting local schools, Chelsea’s Light, or creating a Roll of the Month with proceeds going to organizations such as Movember, Susan G. Komen, Resounding Joy and Wounded Warrior Project.